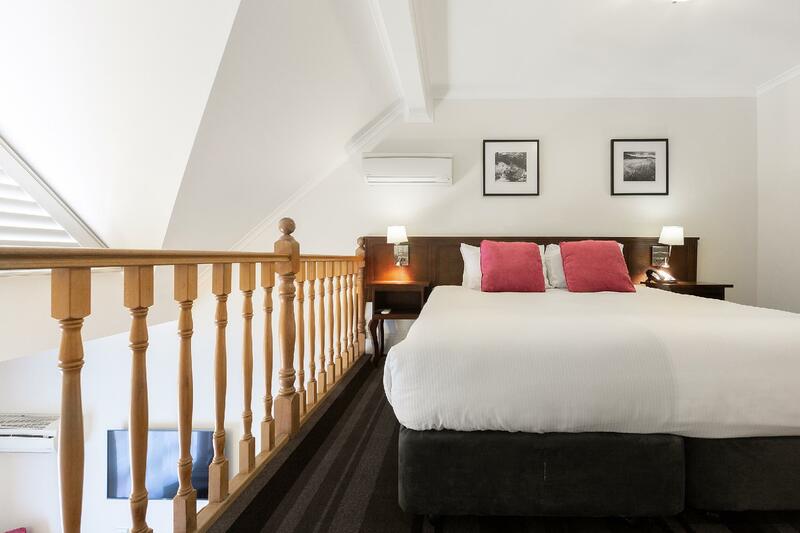 للمسافرين الذين يرغبون أن يعيشو كل ما تقدمه كانبرا, Mercure Canberra هو الخيار الأمثل. إن موقع الفندق الاستراتيجي، الذي يبعد 1. Km فقط عن مركز المدينة، يسمح للنزلاء بالوصول سريعاً وبسهولة إلى العديد من الوجهات المحلية المثيرة. يشكل هذا الفندق ملاذاَ مريحاً للاسترخاء ويمنح زواره فرصة للاستجمام والتجدد، وهو يقع على بعد خطوات من المعالم السياحية الكثيرة للمدينة كمثل: Gorman House Markets, الحرب الاسترالية, موكب أنزاك. 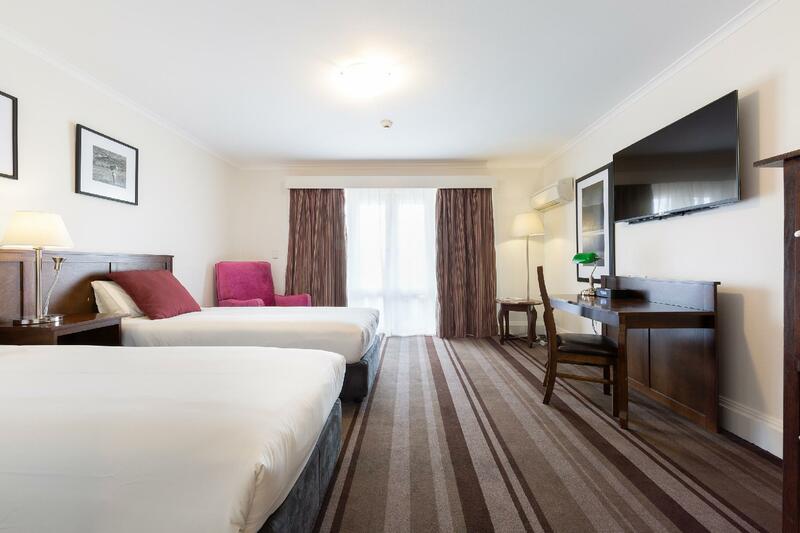 يعمل Mercure Canberra على ضمان إقامة مريحة لضيوفه من خلال خدماته الممتازة وحسن ضيافته. يمكن الاستمتاع بمجموعة من الخدمات على أعلى المستويات في الفندق كمثل خدمة الغرف على مدار الساعة, مكتب الاستقبال على مدار الساعة, مرافق مخصصة لذوي الاحتياجات الخاصة, تخزين الأمتعة, صف السيارات. ادخل إلى واحدة من الغرف 126 وتخلص من عناء نهار طويل بمساعدة مجموعة كبيرة من الخدمات كمثل تلفزيون بشاشة مسطحة, رف للملابس, قهوة فورية مجانية, شاي مجاني, بياضات الموجودة في بعض الغرف. يمكنك الاستمتاع بالأجواء المريحة التي تقدمها حديقة طوال النهار. إن Mercure Canberra هو مكان مثالي للمسافرين الذين يتطلعون إلى الراحة والاستجمام في كانبرا. A rather ordinary insect was in my bathroom sink. When I phoned reception they offered me bug spray for the night. The cold tap made a horrible racket and The mini bar looked half used before I even got there. Very disappointing if you chose the standard room option at this hotel! We stayed with a scoopon special.... what a bargain. Walked to lots of places and used public transport. Upgrading while we were here but didnt bother us at all. Staff very helpful and friendly. If we came back here we wouldn't hesitate to return. The hotel was quite close to the city, best though if you have a vehicle as getting Uber all the time is expensive, the place has an old world charm the gardens are quite relaxing, the restaurant (courtyard) is has amazing food & the wine is reasonably priced, the only con related to my room, but as I was hardly there it didn’t matter, having a room right next to the housekeeping room was distracting at the worst, the staff were friendly and helpful. We love the history of the building and the well cared for rooms and garden. Also the location is handy to the Civic and Ainslie shops. Staff are very good. We have stayed here a number of times and will be again. 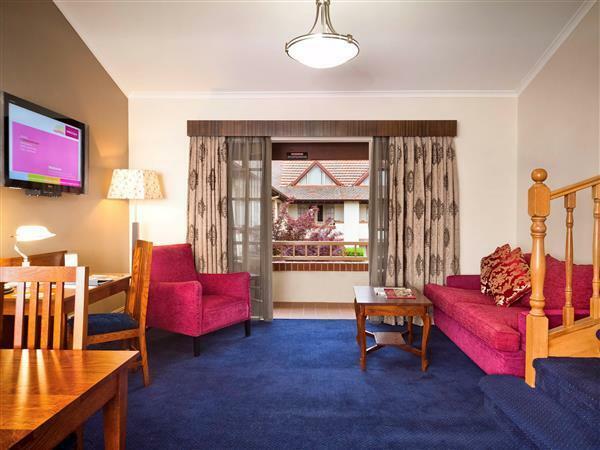 We chose to stay at Mercure partly out of nostalgia for the old Ainslie Rex but also because it is close to our daughter and new grandson in Braddon. It still had the old Rex charm but was tastefully refurbished with all mod cons. Breakfast in the dining room was a reminder of times past too - a great way to start the day. All the staff were very helpful and friendly. 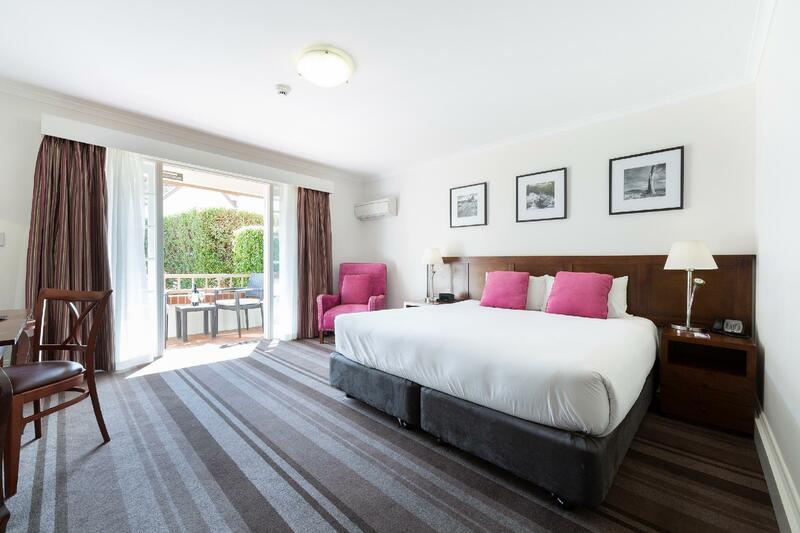 Mercure will be our 'place to stay' in Canberra for family visits. I have stayed here several times in the past, but it has run down over the time. The long, endless narrow corridors are not particulary inviting. The size of the room was ok, but ours, alegedley "upgraded", looked out to the carpark. Just as well we stayed here one night only. Probably it was the last time I stayed here. Very enjoyable, would definitely stay there again on my next trip. 10 minutes from the airport, which is a bonus. The room was comfortable and tastefully decorated and the food was enjoyable and plenty of it. More attention to detail where cleaning is concerned would be my only gripe, but that could be from lack of staffing numbers. Staff very friendly and helpful though someone to take bags up the stairs would be good as I struggled with my heavy suitcase. 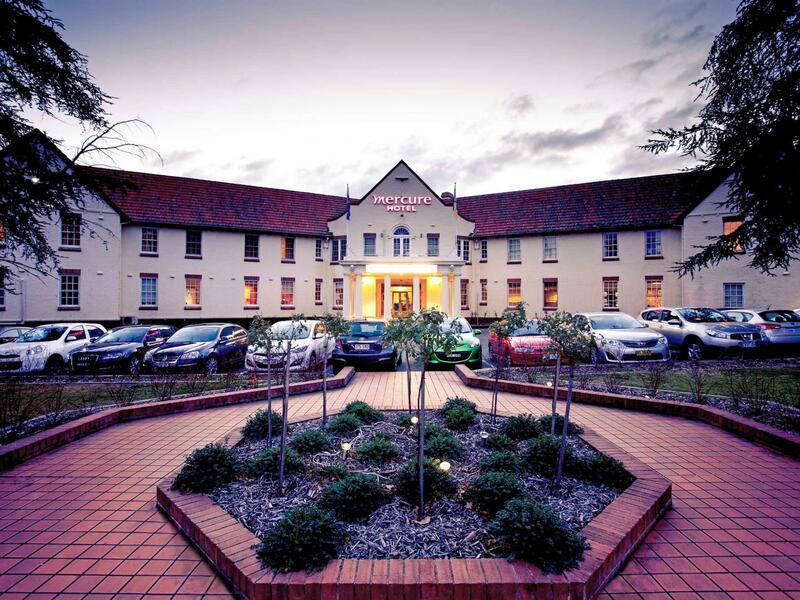 Wonderful Staff, outstanding rooms & historic atmosphere. Memoriable, will definitely stay again and recommend to family and friends. Staff were outstanding, happy to assist in every way possible, with happy attitude to guests and eachother - so refreshing to have experienced this, as it is becoming a rare thing... Thank you! it was a pleasant stay. There were some hiccups when I first arrived during the holiday season. But the staff were helpful & composed. They offered good & practical solutions as opposed to just waiting for instructions. The stay at the hotel was good. close to city dinning walking distance. close to all the attractions that we wanted to see. the only down fall was at night the air conditioner noise was a bit noisy at times. Apart from that you couldn't fault the rooms or the surroundings. In general the ambiance of the historic hotel was good. Two major problems occurred: the front desk had difficulty with cabs arriving which is common in Canberra but was not quick to fix the problem. Secondly, one morning of our stay the hot water was not working. It was fixed in a few hours but for a large hotel this is not adequate. I checked-in and completely missed the historical aspects of the hotel! If I knew, I would have spent more time appreciating the history and preservation of the building. That aside, staff was very friendly and well-trained. Location was also quite good, with a 15-minute easy walk to Canberra Centre. However, what really made my stay a special one was being offered a room with a HUGE balcony! It was actually above the main entrance. It was a much larger room than I was expecting, and well-appointed at that. It was a real pity the weather didn't allow me to enjoy the balcony more. Definitely would return if given a chance! 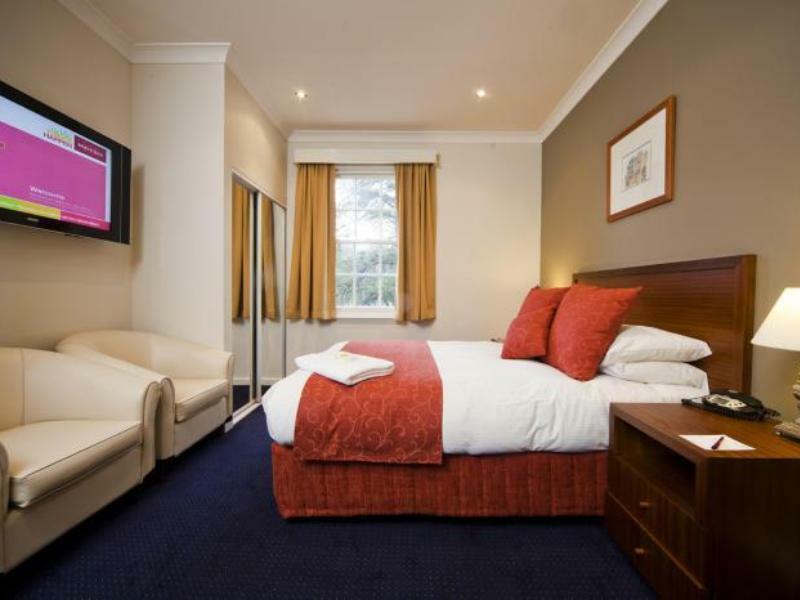 The Mercure Canberra is a bit out of the way, but with easy access to buses and a short walk to city center. 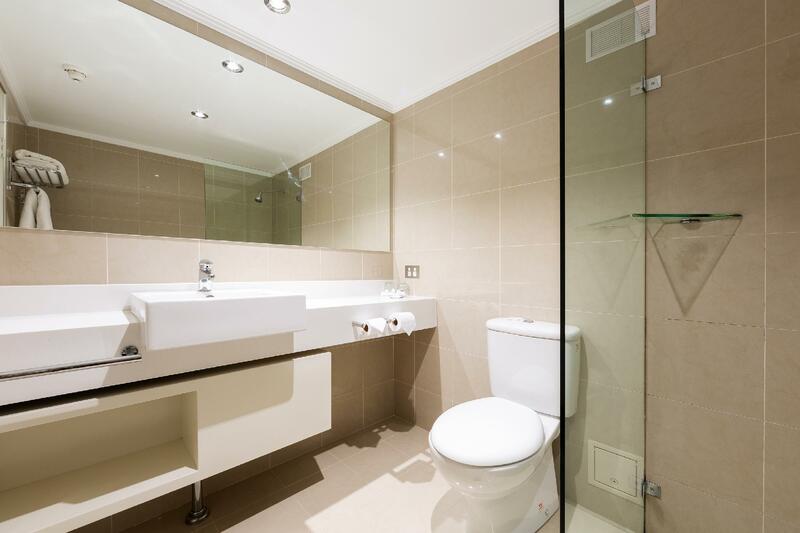 The rooms are attractive and spacious, the staff helpful. The hotel is built around a courtyard. It was part of the original housing created during the development of Canberra as the national capital and architecturally matches some more famous structures closer to Parliament. This makes it a very attractive place to stay. The restaurant is OK, though Canberra has plenty of options downtown. Overall, a good value. I went out for brunch. Got back at 1pm to get ready for wedding. Room had not been cleaned / towels had not been changed. Bar fridge was topped up. Left for wedding at 1:30pm, returned 10pm... Room still wasn't cleaned. Spoke with front of house manager the next day, she said cleaners don't work after 1/1:30pm on Saturdays. Poor response.